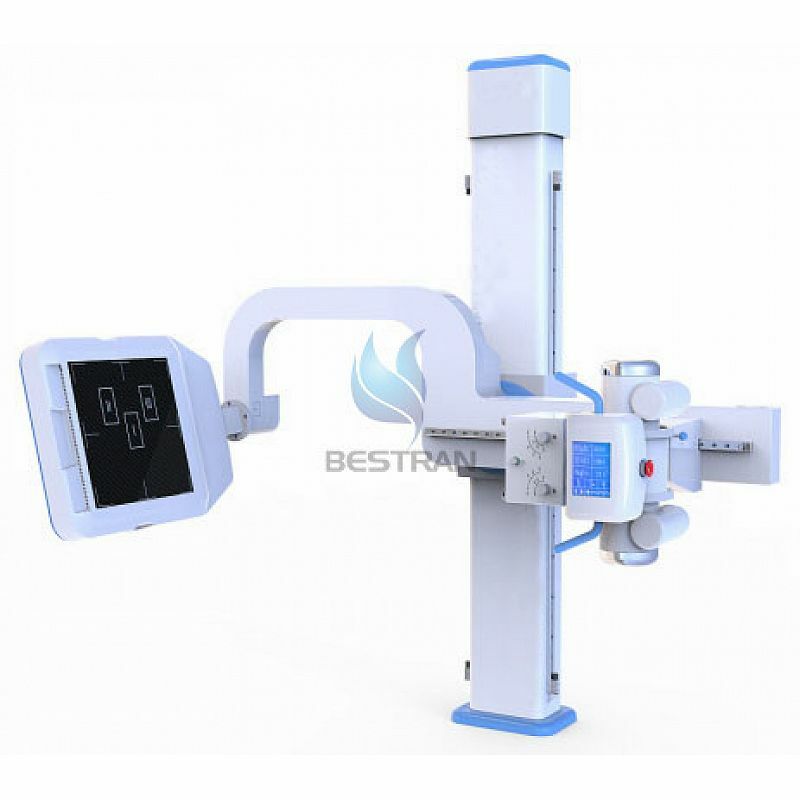 Detail Produk "BT-XR14 High Frequency Digital Radiography System (100KW, 1000mA)"
2.The detector can move with large scale of 17”×17” effective detection area.can meet all kinds of parts to shoot. 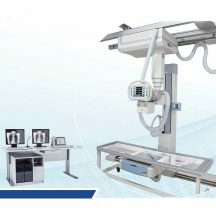 3.The electric lift and rotatable newly designed U-shaped frame can meet the photographic requirements of different standing and lying positions. The U-shaped design can make the operation much more convenient and flexible. 4.The leading domestic high power compact high frequency X-ray generator and high frequency power inverter makes the machine much more compact and more convenient without the extra high-voltage generator and cable. 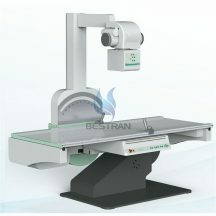 5.Newly designed photographic bed used specially for the U-shaped arm X-ray machine. The bed floating and electromagnetic lock design makes it convenient for the accurate position of the lying patient. 6.Specially designed working station for DR adopts all-digital intelligent touchable LCD control system which is graphic and real color. This system makes the operation easier and more convenient. 7.Apply different photographic parameters according to the human characteristics, such as multi-site, multi-position, muti-body shape, adult and children etc. The parameters can be modified and stored at will and make the operation more convenient. 8.The high quality high frequency high-voltage X-ray generator and high frequency power inverter can produce high-definition and good contrast images by high quality radiation and low dose. 9.The application of the KV and MA digital closed-loop control technology and the real time control of the microprocessor ensure the accuracy and repeatability of the dose. 11.Support Dicom 3.0 convenient to connect with PACS system to print and transmission. 12.Two control modes for Mechanical movement: close-table control, hand-remote control, Cell compartment control, it can easily, flexibility and quickly operated.